Tickton Grange Wedding Band Venue Beverley: This weekend Vibetown had the pleasure of making a return visit to a great Wedding Venue in East Yorkshire called Tickton Grange Wedding Band Venue Beverley. Vibetown have played at this venue a few times now and its a great little place! This weekend we did a lovely Wedding Band gig here so we thought it would be a good idea to post a review of the venue and the gigs itself. You can check out Tickton Grange Wedding Band Venue Beverley online at http://www.ticktongrange.co.uk/celebrate/weddings/ – If you are still looking for an absolutely awesome venue for your big day then Tickton Grange is well worth a look. “… All the planning, all the discussions, the emails, the excitement as we note every advance detail with you.Now you can relax, comfortable in the knowledge that you are in good company, safe hands. 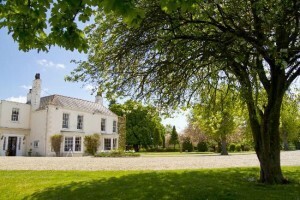 Great service, great food, instant attention to every detail; second nature to us, perhaps things which set Tickton apart.Meticulous preparation of the wedding rooms, then the Georgian house and gardens come alive as you, your family and your best friends arrive. If you are after a Wedding Venue that can accommodate a Live Function Band then you may find your choice of venues are a bit more limited. 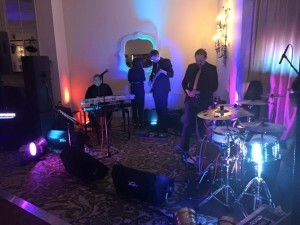 Some Wedding Venues just don’t have the space or equipment / access needed to accommodate a Wedding & Function Band… and sometimes even the ones that do will have Sound Limiters which in some cases can take away from the bands performance. However, you’ll be glad to know that Tickton Grange Wedding Band Venue Beverley isn’t one of those venues! They can more than accommodate a live 6 piece band like Vibetown and have no local noise restraints placed on them by council authorities. The setting is beautiful and the staff are super helpful. During our few gigs here we have found this place to be a delight to play and the staff easy to work with.